Some things are just a bad idea and the sooner we all decided to admit to that the better. And a bad idea is a worse idea in a large family. Just yesterday, as I spent some quality time in our sparkling clean and pristine bathroom that smells like fresh roses, my eyes fell upon something shocking. 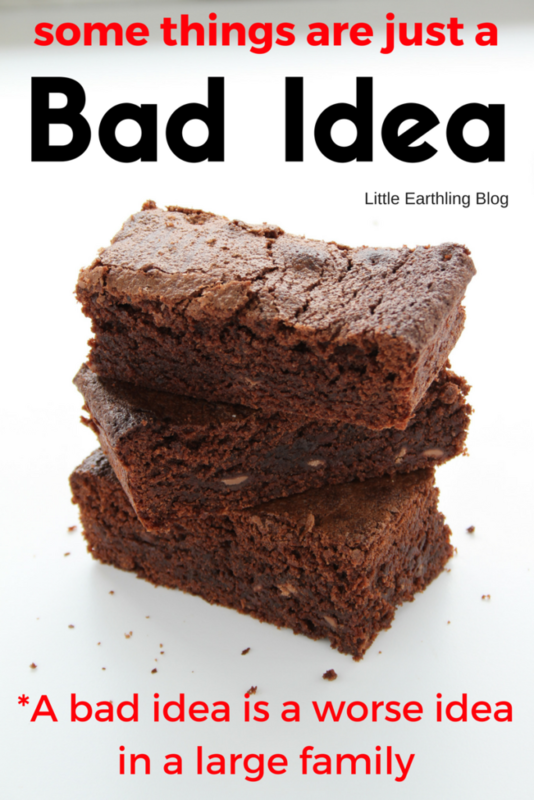 There, in our bathroom garbage, lay a brownie (no that isn’t a euphemism for something, it really was a brownie). So many thoughts swirled through my head. Who took a brownie into the bathroom? Why would anyone take a brownie into the bathroom? Please, please tell me they weren’t eating it in there…and honestly, I wouldn’t put it past some to find that little treasure and help themselves to dessert. Right there. In the bathroom. Once upon a time, we had a toilet paper holder mounted to our wall, just like a real family. Then one day, perhaps in a fit of over-eager wiping, it got ripped down leaving a small hole. That small hole grew bigger day by day. Eventually, the hole was big enough to put small objects in. One day, I noticed debris in the hole. The hole was too small for me to actually reach in and clear out said debris. Because of the close proximity of the toilet to the hole, it was a difficult place to repair. Enoch and I ended up cutting a 2×2 foot area around the hole to repair it. With the hole now big enough to reach in, I pulled out four garbage bags of debris. FOUR. Garbage. Bags. In the debris were candy wrappers, yogurt containers, granola bar and fruit snack wrappers. Bad Idea #2: Leaving a hole (no matter how small) in a bathroom wall. Now, Apollo doesn’t attend this group. Mainly because it is one a Thursday night 20 minutes from our home. He would get back past bedtime and he struggles enough with fatigue that we don’t need to add this onto his first-grade schedule. I love my kids. I love my family. I wash their dirty underwear, clean up their vomit and make them nutritious meals. From scratch. (though, not necessarily in that order). We throw themed parties…just for fun. But you know what I don’t need? A weeknight rush to not only get Apollo to church on time (after dinner but before bed) but on top of that to make sure he is dressed like a pirate. Or Disney character. 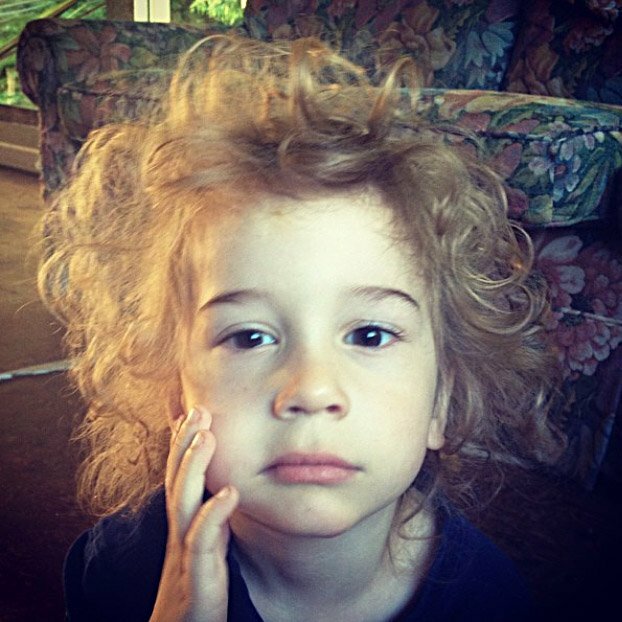 As for crazy hair, that’s every day here. We pretty much have that one nailed. Bad Idea #3: To expect a mom to have her child fed and dressed up in a theme after dinner on a school night. *Remember Mustache Day? Yeah, me neither. Heard of any bad ideas lately? Help a girl out and share them here. Speaking of plumbing, Orbeez, worst idea ever. They go down the drain as tiny dried beads, and then expand, and expand…..